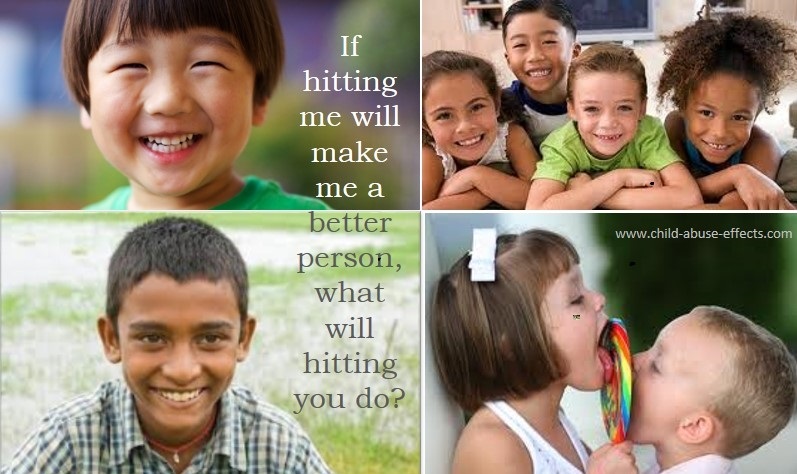 Physical child abuse statistics are difficult to determine. Though hospitals do their duty by reporting child abuse and social workers investigate the reported allegations, thousands of children are abused behind closed doors. When severe injuries do occur, the diagnosis of "battered child" is often missed or denied. Even child and youth homicides are not clearly represented. "The numbers of child abuse deaths in Canada are under—reported—the result of, among other things, non-existent national standards and death review mechanisms" (Valpy, 1996, p. D11). Even in a country like Canada, where there is a duty to report law, many incidents' of physical child abuse continue to go unreported. An estimated 135,573 child maltreatment investigations by Social Service Agencies were conducted in Canada in 1998. 45% of these reports were substantiated (p.11). Physical abuse accounted for 31% of all investigations made to child welfare agencies in Canada in 1998 (p.12). 65% of investigations of physical abuse substantiated by Child Welfare Agencies involved inappropriate punishment (p.12). Physical child abuse was committed largely by biological parents: fathers were alleged perpetrators in 46% of substantiated cases of physical child abuse--mothers, 43% (p.20). The highest proportions of substantiated physical child abuse cases were in the adolescent age group: boys, 22% and girls, 18% (p.11). Canadian physical child abuse statistics reflect that an average of about 100 child homicides are documented by the police each year across the country (Fitzgerald, 1996, pp. 1-133). From 1974 to 2000, 63% of the homicides of children/youth were committed by family members and 37% were committed by non-family members; this proportion was constant regardless of the victim's gender. Of the non-family member perpetrators: 37% were casual acquaintances, 27% strangers, and 20% close friends (Statistics Canada, 20024). The central issue in mistreatment is the misuse of power (Garbarino & Gilliam, 1988, p. 325). Parents abused in childhood were significantly more likely to abuse their children: this study found a 23% rate of inter-generational transmission (Pears & Capaldi, 2001, pp. 1439-14616). The breakdown of perpetrators of physical assaults on children and youth as reported to police in Canada in the year 2000 were: 53% acquaintances, 21% family members, and 20% strangers (Statistics Canada, 20027). School personnel referred 35% of all physical abuse investigations, 39% of which were substantiated (Trocme & MacLauren et al., 2001, p. 938). 1 Valpy, M.(1996, August 3). Suffer the murdered babies. The Globe and Mail, D1, D5. 2 Trocme, N. & Wolfe, D. (2001). Child maltreatment in Canada: Canadian incidence study of reported child abuse and neglect: Selected results. Ottawa: National Clearinghouse on Family Violence, Health Canada. 3 Fitzgerald, R. (1996). Assaults against children and youth in the family. Statistics Canada Catalogue No. 85-002-xpe 17. Ottawa: Government of Canada. 4 Statistics Canada. (2002). Family violence in Canada: A statistical profile 2002. Catalogue no. 85-224-xie. Ottawa: Government of Canada. 5 Garbarino, J. & Gilliam, G. (1988). Understanding abusive families. Toronto: Lexington Books. 6 Pears, K. & Capaldi, D. (2001). Inter-generational transmission of abuse: A two-generational prospective study of an at-risk sample. Child Abuse and Neglect, 25 (11), 1439-1461. 7 Statistics Canada. (2002). Family violence in Canada: A statistical profile 2002. Catalogue no. 85-224-xie. Ottawa: Government of Canada. 8 Trocme, N. & MacLauren, B. et al. (2001). Canadian incidence study of reported child abuse and neglect: Final report. Ottawa: National Clearinghouse on Family Violence.